An inspired Art Deco design and a heavenly rooftop garden make the Surrey one of the swankiest hotels you can check yourself into this side of Manhattan. The Surrey’s Art Deco-inspired interiors and unique collection of artworks by the likes of Chuck Close, Richard Serra and Jenny Holzer may make it feel like the secret art gallery you never knew New York had, but look past its superficial shine and you’ll find a hotel steeped in history. 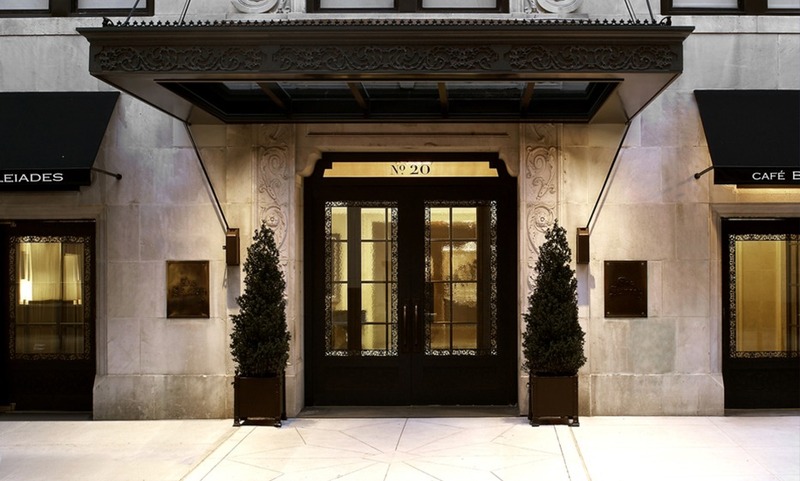 President John F. Kennedy called it home for years and when actress Bette Davis and singer Rosemary Clooney worked in the city, no hotel but this Upper East Side grande dame would do for discreet service and a sense of personal space. Fast-forward to today, nothing much has changed. The Surrey is still the place to be for a “Privately New York” experience despite its $60 million makeover in 2009. If anything, interior designer Lauren Rottet enhanced the hotel’s Manhattan residence feel with unique treasures like Jimmie Martin's Graffiti Armoire, which guests encounter on their way to Café Boulud. With the transformation also came new amenities like the Cornelia Spa, the 17th floor rooftop bar and the laidback Bar Pleiades where the likes of Drew Barrymore are often seen unwinding over drinks. If you’re looking for a transcendent hotel experience in New York, The Surrey is it. The Surrey's own intimate collection of modern art. Coffered ceilings, limestone walls and moldings, and marble archways and floors in the lobby. Seasonal private rooftop garden is a true oasis. A first class hotel. We have stayed in many 5 star hotels in New York but this was probably the best. A nice upgrade on arrival &amp; excellent service throughout our stay. I would not hesitate in recommending this hotel. we have some friends visiting in December and will definitely recommend this hotel! Very convenient and comfortable. The décor was interesting and tasteful. Only disappointment was that the bathrooms in the standard rooms do not have a bath tub as well as shower. I feel this should not be the case in a first class hotel.